It's wonderful to see indie developers on Wii U find enough commercial success to produce more than one title for the platform, and two-man studio Dahku Creations has followed up June's Chubbins with a new family-friendly offering: Soon Shine. Our biggest criticisms of Chubbins were its torturous difficulty and lack of visual variety; Dahku has responded by making Soon Shine a feast of colour with gameplay that's easy to a fault. In Soon Shine, you play as the sun and the moon — two sides of a creepy mask, and we're all in favour of games about creepy masks here at Nintendo Life. You use your sun-and-moon powers to fend off mischievous spirits attacking you; the sun is vulnerable to dark spirits, making bright spirits stop in their tracks, and vice versa for the moon. You juggle this Ikaruga-style light/dark dichotomy to survive wave after wave of invading spirits for a high score while they try to reach you and deplete your health gauge. There's a bit of depth, as squashing multiple spirits of the same colour in a row gives you combo bonus points. It's not exactly like Ikaruga (or Chubbins), though, because Soon Shine is on the complete opposite end of the difficulty spectrum. Enemies come at you faster and in higher quantities the longer you survive, but it starts out so easily and scales up so slowly that it gets boring rather quickly. You can purchase items from the Token Shop to mix up gameplay, but these power-ups (like "Stellar Solstice" to restore your energy and "Nova Flare" that eliminates all spirits onscreen) feel utterly unnecessary when the game is so easy. 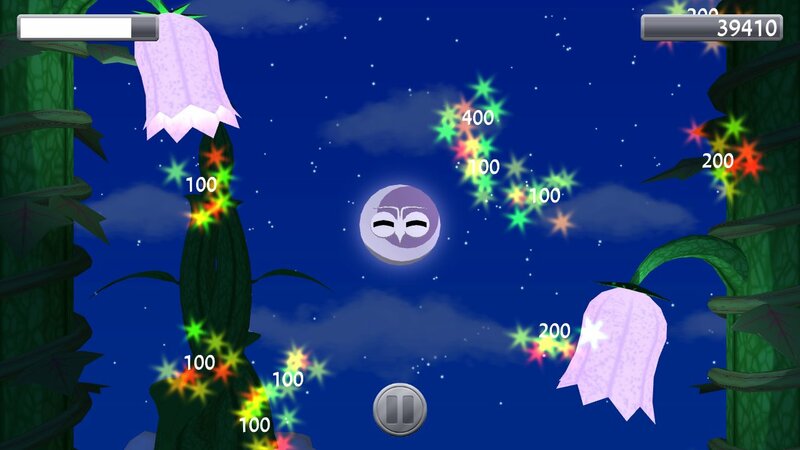 There are three modes: Standard, Purist – which doesn't allow items – and Timed, in which you must reach as high a score as possible in three minutes. Timed mode is the most fun of the three, simply because Soon Shine is so easy that the other two modes can last seemingly forever as you wait for the enemies to ramp up in difficulty. With the time limit, your focus is less on surviving and more on maximising your time with as many combos as possible. Where Soon Shine shines is the aesthetic department. While Chubbins consisted of bland backgrounds and generic level assets, Soon Shine is full of bright colours for an almost cel-shaded look. Some pleasant piano melodies accompany your quest, making it a nice stress-reliever if you just want to unwind for some mindless fun after a long day of work. When you switch between the sun and the moon, the gameworld switches from day to night, adding some variety to the visuals; in addition, you can purchase new music tracks and backdrops like "Crystal Cave," "Cyberspace," and "Steampunk" from the Token Shop to spice up your life. 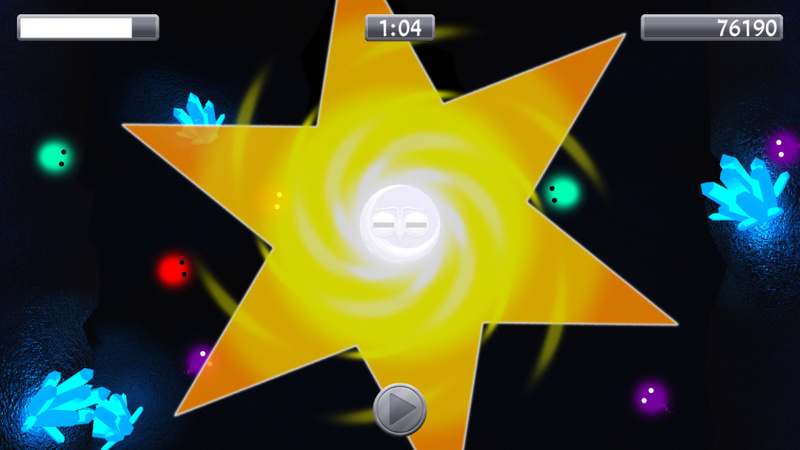 Soon Shine is controlled, meanwhile, entirely with the stylus: you tap on spirits to squash them, and you swipe the screen left and right to flip between sun and moon modes. It works well enough, but it makes it feel like yet another "tap all the things" affair to heap on Wii U's pile of similar eShop releases. This design philosophy treats the Wii U like a mobile device, and it doesn't quite work – this style suits the short bursts of pick-up-and-play gaming that people want on their smartphones as they ride the train to work, but while the Wii U GamePad offers a similar touch-based interface and the ability to play off-TV, it's still a home console. We'd bet that when many sit down with a home console they're looking for a slightly deeper, more involved experience than the sorts of games that flourish on the App Store. There is certainly a place for mobile-style games, but it's arguably not on Wii U. Soon Shine is a visual leap from its predecessor Chubbins, but the gameplay has taken a turn for the childishly simple. It's technically sound with no glaring faults, incredibly cheap on the eShop, and could appeal to those who just want something quick and easy or younger, less experienced players; there are better alternatives elsewhere, but this isn't bad. It also makes us wish Mr. Shine and Mr. Bright from Kirby would get their own spin-off title. I saw that Chubbins got permanently discounted, so I may get both to support these guys. It's nice to see a small developer release two Wii U titles in such a short period. That said, this doesn't really appeal to me, unfortunately. Thank you for another honest, objective review, @JakeShapiro! We greatly appreciate you taking the time to do so. While it's a shame Soon Shine scored lower than Chubbins we're glad you found it to be generally enjoyable, and especially pleased that the graphics were a highlight. We definitely strove for a more crowd-pleasing look this time around. @sinalefa We'd certainly appreciate it! Hope you enjoy them if you do. Not really in direct response to this review per se, but something I would like to say as developer to anyone reading: many will probably concur that the gameplay is "easy to a fault" and better for "younger, less experienced players". While most admittedly this game was made keeping in mind the harsh criticisms dealt to Chubbins for its difficulty, we don't consider this a game where "easy" or "hard" really plays into it. Tetris, for example, was a big inspiration for the style of this game, and in such a game it's never really hard--it's all about how good you can get and how far you can go. Anyone can effortlessly stack blocks, but not anyone can stack them well enough to set world records. To that end, I'd like to encourage anyone who picks this up to give a look to the game's eManual to get the most meat out of the gameplay. Anyway, thanks again to Nintendo Life for reviewing and covering our works! You guys rock. @dahkuToby Thanks for taking my criticisms in stride! I'm surprised you guys were able to crank out another so soon after Chubbins. It's great that you tried an entirely different genre of game, rather than rehash what you've done before. I'm excited to see what you do next. I really like the art design. o.o Those masks are great. I said on Miiverse that'd I'd love to see what Dakhu does after Chubbins. I like that it was something that surprised me. Great review, @JakeShapiro. Your writing has improved A LOT since I read your first reviews. I disagree with the idea that Wii U shouldn't have touch-specific time wasters. 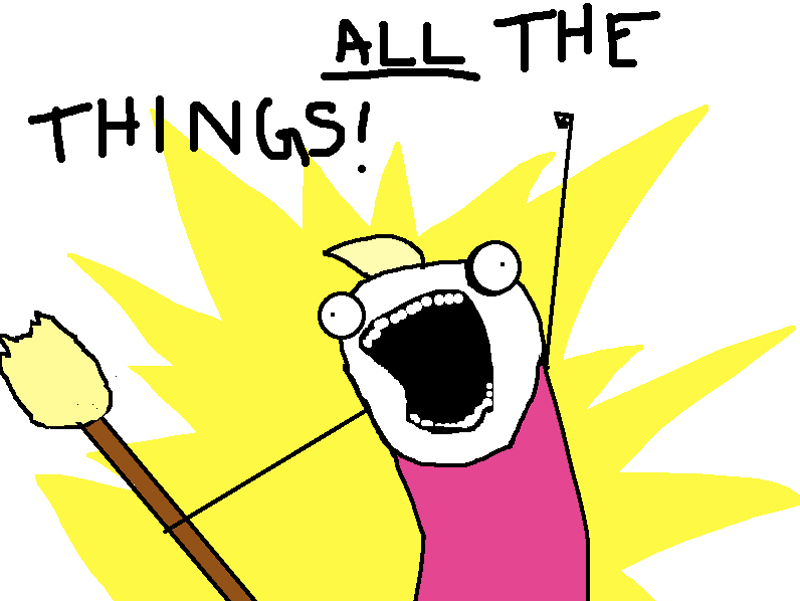 My live-in cousin plays 360 regularly and sometimes I don't need to get involved with anything deep. That's when I get out my GamePad and play a little Blok Drop U, I've Got to Run or Color Zen. I've come up with a new term. I call it "Miiverse bait." These are flawed games that will likely get a strong Miiverse following either because of high score posts or regular communication with the developer. Unlike so many on here, I actually like GOOD iOS to be released on Wii U, so keep'em coming @DahkuToby. @DahkuToby are either of Dahku Creations' games coming to Australia &/or the UK eShop? I want to buy them. Visuals are still are little simplistic production wise, but the variety seems to be there. This review is so good, its almost Too Much and makes me wannabe one who never gives up on the good times. So move over other mediocre games and let me give this one a holler! @brandonbwii Well said. I agree, and the game examples you highlighted were great! @JakeShapiro Thanks. 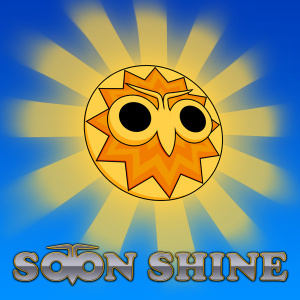 Yeah, while platform games are our favorite we definitely enjoy all sorts of game design and Soon Shine seemed like a good move after Chubbins was received as too difficult. Here's hoping it performs well enough to allow us to continue making bigger and better things. @Pixel-Perfect Thanks, glad you like it! @brandonbwii Thanks; we certainly have more ambitious goals in mind if we survive in this industry, but it's nice to know our small, humble works are appreciated. 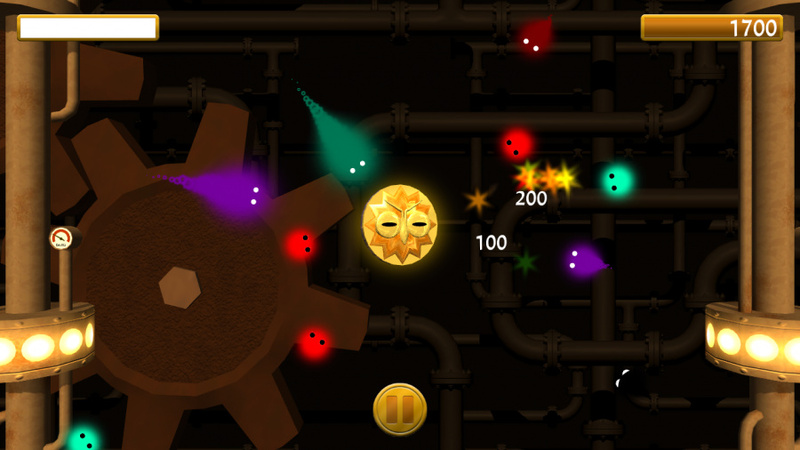 We hope you enjoy Soon Shine if you give it a go. @WiiLovePeace As much as we'd love them to, sad to say it's unlikely; we'll have to see how Soon Shine fares, but Chubbins didn't sell nearly well enough to warrant the extra cost and effort it takes to release outside the Americas at present. We certainly appreciate your interest though. Thanks. I actually picked Chubbins yesterday and I beat the first world in the soft setting. I will go back to it today. Any feedback for a save feature after every level instead of after every world? Improving games based upon feedback may lead to improve sales. Unfortunately I did not check that this review was ahead of Soon Shine's release this Thursday, so I was bummed to see I could not buy it too. @sinalefa Thanks for picking up Chubbins! We're very aware of the desire for mid-world save functionality and would like to implement it, however updating hasn't been a priority as we were pressed for time to get Soon Shine out by a certain date; if its sales don't go well we won't be in a position to work with the Wii U anymore, so here's hoping. Hope you're enjoying Chubbins regardless, and remember if quit mid-world it does save your progress via Time Attack so you can practice the more difficult levels. @gage_wolf Sorry to hear you feel that way about our titles; we always strive for substance and quality, even when we're presently not capable of more than smaller, $0 budget titles.